I doubt I will be able to do all at once. Winter has been very mild upto now overhere but it's bound to get colder next week, which means less garage time for me. I have datalogs from most of the dynoruns. kPa was ranging from 93 to 83 kPa during the dynorun (1.5" to 4.5" vacuum). 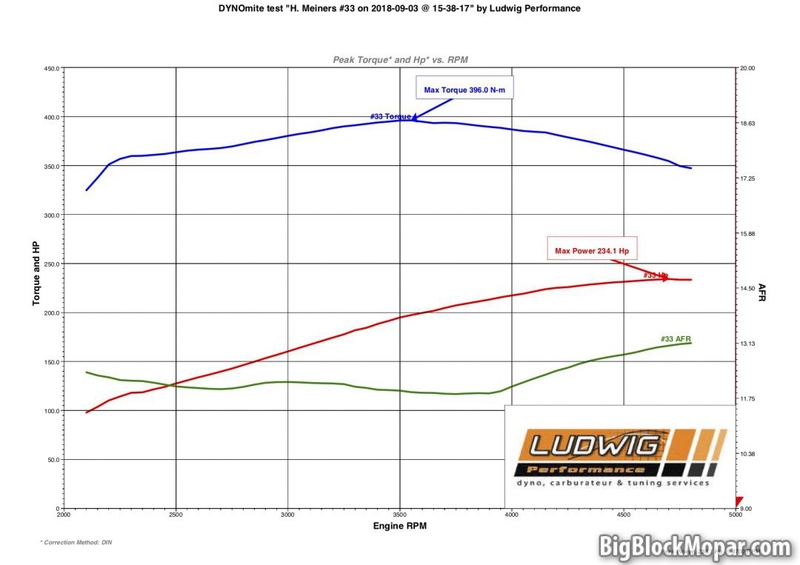 The 360ci put out a max 234hp on the wheel-dyno last year. The restrictor-plate has been removed in the 425. This was one of the first things I did.